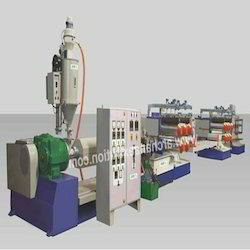 We are a leading Manufacturer of mono filament plant from Ahmedabad, India. Backed by rich industry exposure, we are highly engaged in offering an extensive range of Mono Filament Plant to the clients. These products are available in standard, vented and High L/D Ratio version. The offered range of product is made from optimum quality raw material under the assistance of our best industry experts.